Mark Rubinstein did an interview of Murder 101 and me for the Huffington Post. In MURDER 101, the beloved Decker and Lazarus embark on a new life in upstate New York—and find themselves entangled in deception, intrigue, and murder in an elite, picturesque college town. A personal thanks to all of you for making MURDER 101 a New York Times Bestseller for the week of September 21st. I tried to publish this under events but I must have dome something wrong. 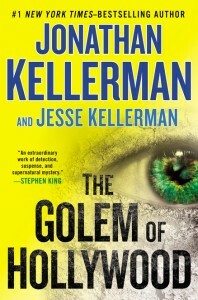 Here is part of a nice review of MURDER 101 from Bookreporter. Hope you’re enjoying the book out there. My newest novel, MURDER 101, will be available tomorrow, September 2nd, in bookstores and in e-books. Thank you all for your support over the years and I hope you enjoy the newest. This for Canada only, people. Your own murder 101 Sweepstakes from Goodreads. It runs only through September 1st so get a move on it. This is a new one for me. 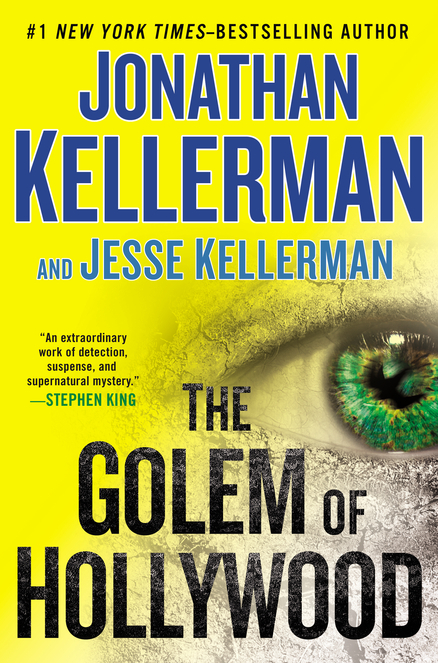 My book, Murder 101, is coming out September 2nd, and Jonathan and Jesse Kellerman have co-written a book: It’s entitled The Golem of Hollywood and it’s due out two weeks later in mid-September. So it looks like we may be doing a little PR together. I know we have one signing locked up, I’ll keep you all posted for whatever events we undertake together. I hope everyone has a wonderful summer vacation and keep those letters coming! I read them all.